Dr. Kai Chen is an Assistant Professor of Radiology at the University of Southern California (USC), and a member of the Norris Comprehensive Cancer Center at USC. He currently leads the molecular imaging laboratory of the USC Molecular Imaging Center where he is developing novel molecular imaging probes for multimodality imaging. Dr. Chen received his PhD in 2001 from Nankai University, China. He then performed his postdoctoral research at Harvard Medical School. In 2005, Dr. Chen joined Siemens Healthcare USA, Inc., and he was promoted to Group Leader in 2006 and Project Manager in 2008. 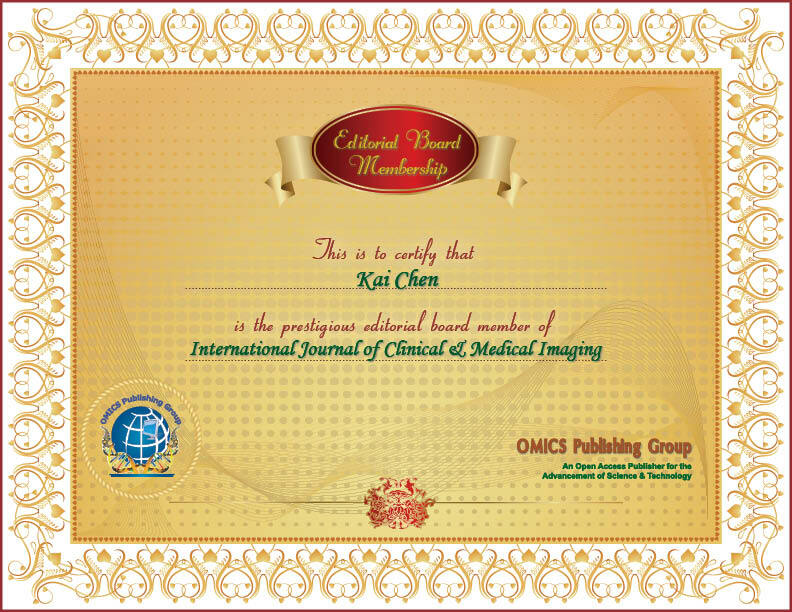 In the summer of 2009, Dr. Chen joined the Intramural Research Program of the National Institute of Biomedical Imaging and Bioengineering (NIBIB). In 2010, Dr. Chen was appointed as a faculty member at USC. Dr. Chen has published over 50 peer-reviewed articles, and he is a co-inventor of 14 patents. Dr. Chen has also served as an active reviewer for over 25 research journals, and he sits on the editorial board of two peer-reviewed journals.